When the curtain goes up on the 2104 Geneva Motor Show, early next month in Switzerland, British automaker McLaren will be there. The all-new 2015 McLaren 650S Supercar will make its stunning debut in front of thousands of word weary automotive journalists and media moguls who will no doubt be fantasizing about taking it for a turn around the block. While most supercars make demands on comfort, the new 650S is designed to provide supercar performance with luxurious comfort. The suspension is amenable to everyday driving, road noise is left outside the cab, and creature comforts abound inside of the cockpit. 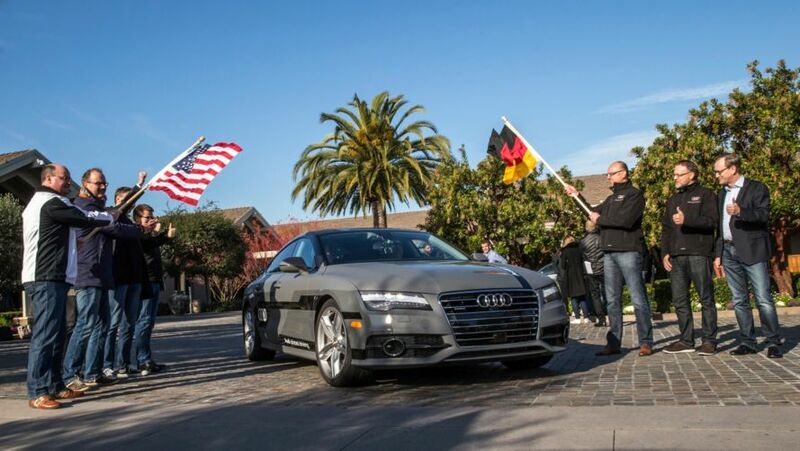 It is truly the world’s ultimate luxury supercar. 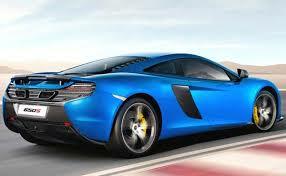 The exterior styling of the 2015 McLaren 650S is nothing short of awe inspiring. Borrowing characteristics from the legendary P1, the assertive front clip, LED headlights, and aggressive front spoiler provide superior downforce. 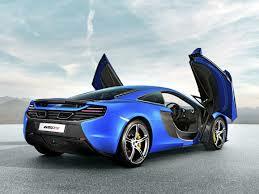 The competition inspired door blades help to push the 650S into the pavement yielding maximum feedback and security. The massive side air intakes help to cool the behemoth turbocharged power plant and the automatic airbrake helps the conventional carbon brakes bring this stunning craft safely to a halt. They also increase aerodynamic stability by automatically extending for added downforce when needed, and then tucking into the exterior through long straightaways where maximum drag reduction is required. Specially designed forged alloy wheels are fitted with Pirelli P Zero Corsa System tires (19-inch in the front and 20-inch rears) to compliment the Formula 1 technology that is displayed in these McLaren street machines. 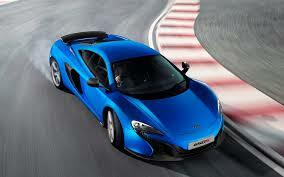 Every McLaren street car utilizes a carbon-fiber MonoCell which ensures a solid platform and optimum chassis dynamics. It is stiff, strong, and extraordinarily lightweight providing ultra-responsive steering and exceptional ride quality. The chassis is adaptive; choose “Normal” mode and you will feel as though you are on a relaxed outing in a family sedan, choose “Track” mode and you will feel hardwired to the pavement. Despite a 207 mph top-speed and a 0 to 60 time of only 2.9-seconds, the 650S is not intended to be just another high-speed hooligan that can’t help but misbehave at lower speeds. The M838T engine is a 3.8-liter twin-turbocharged V6 that delivers 640-hp at 7250 RPM. Ninety-five-percent of the 500 lb.-ft. of torque from the engine is spread from 3000 to 7000 RPMs, allowing the 650S to act like a beast on the track and a beauty around town. It has the capacity to rev suddenly and the power to launch into action in an instant combined with the grace to muddle through rush hour traffic. 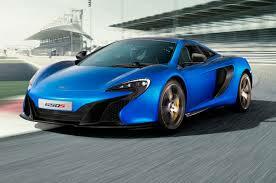 A seven-speed dual-clutch gearbox sends power from the mid-engine to the rear-wheels with near instantaneous shifting. In Track mode (and over 5000 RPMS) the new “inertia push” function allows you to release energy stored from the overlapping clutches for a feeling of positive acceleration throughout the shift. Lift the dihedral door and discover that this supercar is no stripped out racer. The exquisitely stitched leather and Alcantara is comfortable and beautiful, yet it gives you stability during even the most challenging driving maneuver. Satellite radio and GPS navigation are standard on most models as is air-conditioning. Carbon-fiber racing seats, an extended leather package, rear view camera, and electrically adjustable steering column are available upon request, at an added expense. No pricing figures have been released.